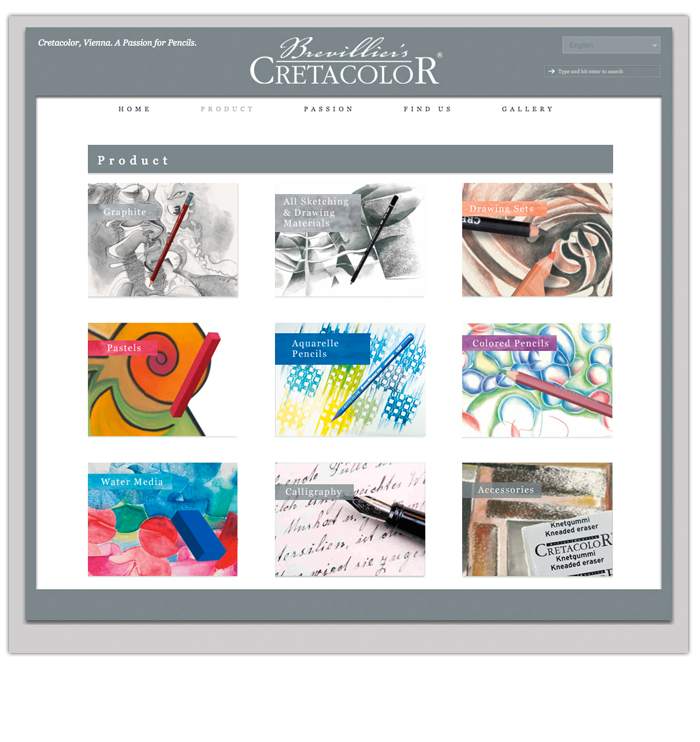 Cretacolor makes fine art pencils and other art supplies. Being headquartered in Vienna with a clientele around the world, they wanted a website that supported multiple languages. This one does just that while maintaining their ability to add and edit content as they wish. 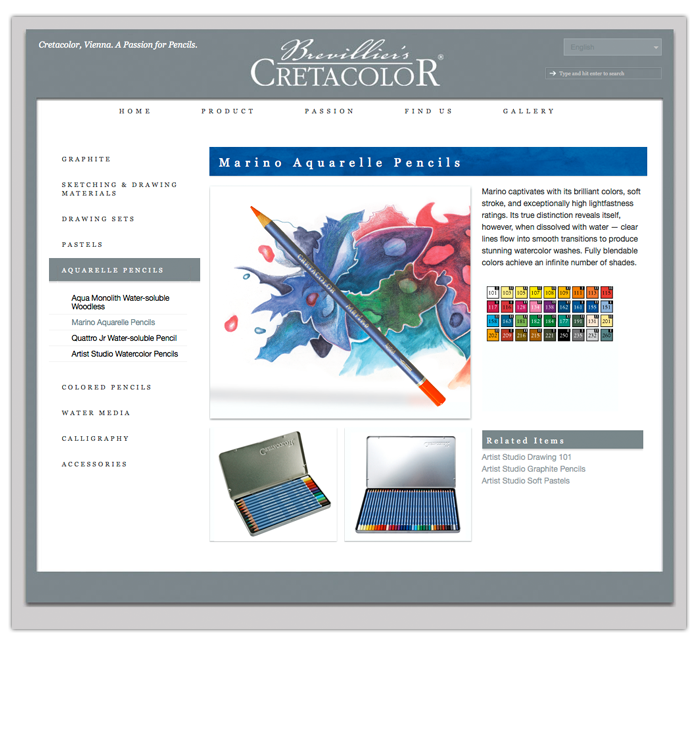 The site itself is built on Wordpress, the industry standard for CMS and blog technology. The design stays neutral to highlight the art featured throughout, but has a color-coding for the various product types. The result is a nice splash of color that is not overbearing or off-putting as you browse. 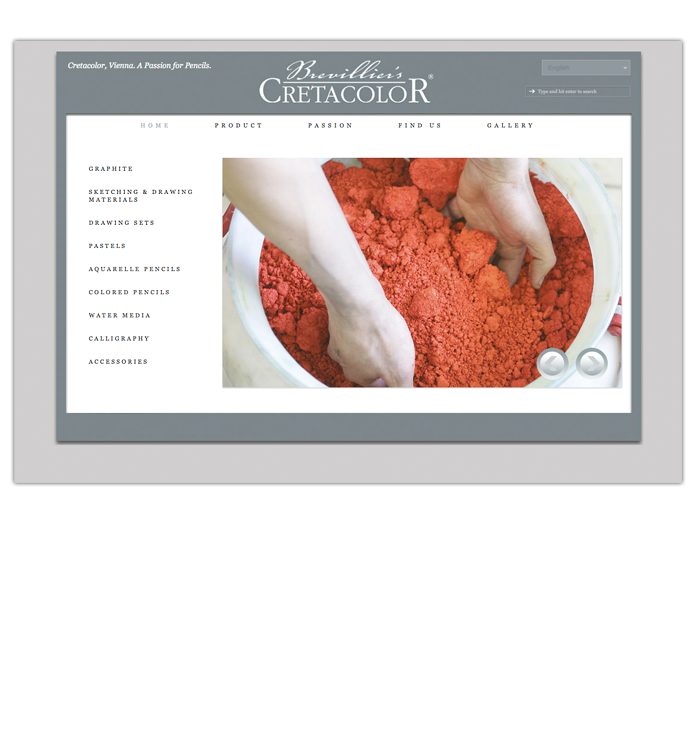 The homepage features a slideshow that displays some beautiful photos of their products and the manufacturing process.